By receiving official approval from the Amrit Yoga Institute you are empowered to place your Yoga Nidra facilitations online, in audio products, and elsewhere using official I AM Yoga Nidra™ branding. This process is intended to ensure quality, consistency, and to inform the global community about I AM Yoga Nidra™. It applies consistently across any online platform, and is also flexible enough for any unique situation. By acknowledging the source of the material, you are providing individuals the opportunity to connect with the Amrit Yoga Institute if they would like to dive deeper in practice. The more we all use the I AM Yoga Nidra™ brand, the better positioned we all are to benefit by building a name and reputation together. Together we can help make I AM Yoga Nidra™ a more recognized opportunity that is accessible to everyone! We have recently enacted appropriate guidelines regarding the process of placing an I AM Yoga Nidra™ facilitation online, in audio products, or otherwise. It applies consistently across any online platform, and we can be flexible with your particular needs depending on the media platform you wish to use. When we all use the I AM Yoga Nidra™ name and ensure quality standards are met, the more we all benefit by delivering recognizable superior transformatoinal teachings to the world. Acknowledging the source of the material is not only a point of integrity, it also builds your credibility! Together we can help make I AM Yoga Nidra™ known and accessible to everyone. Below are guidelines for an Integrative Amrit Method of Yoga Nidra experience. We recommend listening to the following “Journey through the Chakras Yoga Nidra” led by Kamini Desai, Ph.D. as a reference and model for the experience you deliver. Can you feel the guidance? Does the energy of the facilitation align with the intention? 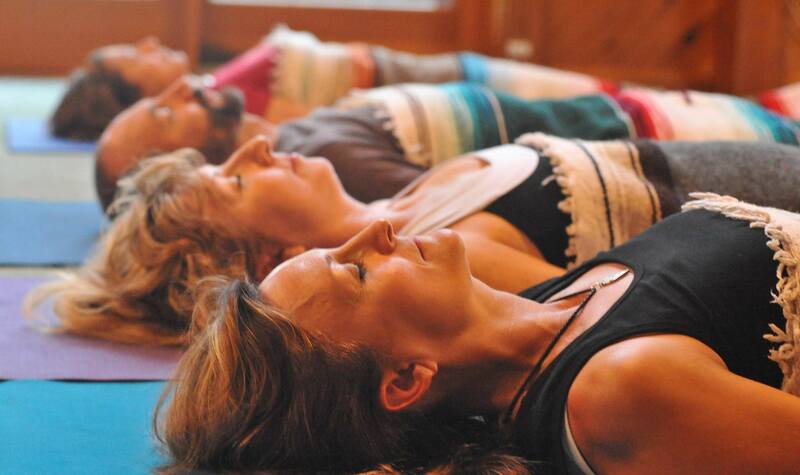 Is the style of communication in alignment with an ideal yoga nidra experience: relaxing, neutral, directional? Is the information delivered with appropriate use of pause so the recipient can optimally receive, digest and go deeper? Was there sufficient time given to feel and absorb the effect of each component before going on to the next? Is the choice of techniques appropriate to the intended audience? Does it follow the structure of the Integrative Amrit Method of Yoga Nidra? 1. What is the intention of this agreement? The Amrit Yoga Institute encourages I AM Yoga Nidra™ graduates to use various platforms (like YouTube) to deliver Yoga Nidra to those who can most benefit from the experience and to reach as many people as possible. We also have to ensure that the quality of these deliveries is up to par. Considering this, we have established some guidelines to stick to so that we can make sure these offerings are in line with the teachings and instruction you received during your training. We also wish to ensure that there is consistency across our students’ facilitations to strengthen the AYI brand for the benefit of all involved. This policy is enacted to ensure quality, consistency, and to get people knowing about I AM Yoga Nidra™. By using the name and upholding the quality, you are helping gain recognition for yourself and everyone. In order to provide quality experiences and ensure consistency, we have provided the guidelines above. Please be sure to stick to these guidelines so that we can approve of your facilitation and it can be placed online in a timely manner. 3. How long does the agreement last? This agreement will be in effect for three (3) years. Please submit a payment of US$50.00 (per submission) to The Amrit Yoga Institute in order to have a senior faculty member review for approval your content and for the right to use our logo and insignia for your opening, introduction, and closing audio and/or visual content.